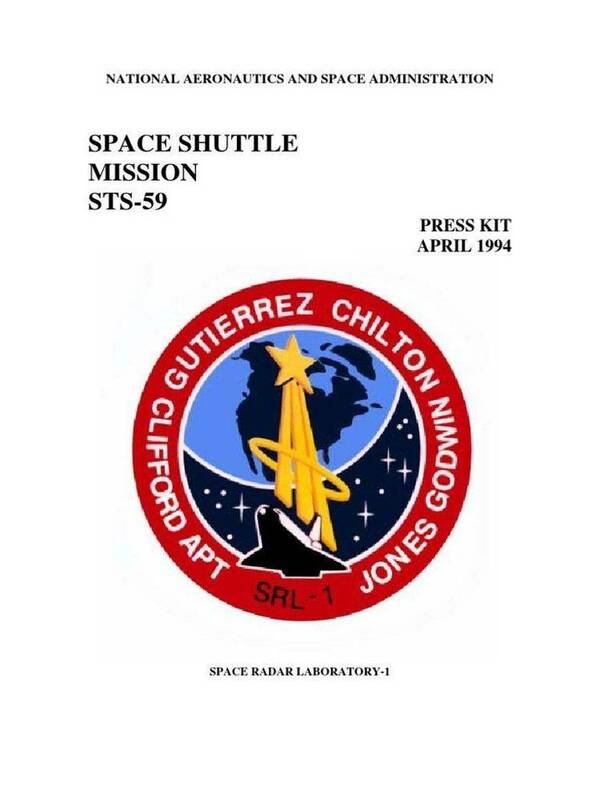 NASA Press kit for shuttle mission S-37. Includes details of the Gamma Ray Observatory (GRO). April 10th. Commanding Atlantis will be Air Force Col. Steven R.
Nagel. Marine Corps Lt. Col. Kenneth D. Cameron will serve as pilot. Mission specialists will be Air Force Lt. Col. Jerry L. Ross; Dr.
will perform the spacewalk on the 4th day of the flight. daily to reflect changes dictated by mission operations. director will occur at approximately 8-hour intervals. Primary Landing Site: Edwards Air Force Base, Calif.
Abort Landing Sites: Return to Launch Site - KSC, Fla.
Abort Once Around - Edwards Air Force Base, Calif.
either Banjul, The Gambia; Ben Guerir, Morocco; or Moron, Spain. Space Center, White Sands, Banjul, Ben Guerir or Moron. Space Shuttle into low-Earth orbit. in an invisible, high-energy form of light known as gamma rays. sensitivity, spectral range and resolution. co-principal investigator support for EGRET. controls, electronics, communications and thermal. although no mission is currently planned for this purpose. of many NASA standard components and other flight-proven hardware. principle of the spinning flywheel to maintain spacecraft attitude. used to record data for later playback to scientists on the ground. time into universal time and distributes it to each instrument. interface the instruments with other onboard subsystems. multi-panel, rigid arrays, deployed by motor-driven rigid booms. portions of the orbit to satisfy load demands and battery charging. During eclipse periods, Nicad batteries supply the spacecraft power. ground operations and while in the Shuttle payload bay. each other and the spacecraft structure to reduce temperature. instrument. The other instruments have passive thermal designs. power of an instrument or component when it is turned off in orbit. while GRO is in the payload bay. study of any other form of radiation. (made of liquid or crystal materials) built into the instruments. gamma-ray range from about 20,000 to 30 billion electron volts (eV). for particular types of observations. Planck Institute, Germany, is the principal investigator. processing required for down-linked data. POCC will receive real time and playback telemetry data via TDRSS. via a computer electronic mail system or by magnetic computer tape. in the gamma-ray portion of the spectrum. studies involve more than one of GRO's diverse capabilities. National Space Science Data Center (NSSDC) also located at Goddard. study either at Goddard's facilities or at their home laboratories. available one year after it has been processed into usable form. by NASA to study the universe across the electromagnetic spectrum. The first, the Hubble Space Telescope, was launched in April 1990. HST primarily conducts studies using visible and ultraviolet light. Telescope Facility, scheduled for launch at the end of the decade. previously deployed Gamma Ray Observatory. from about 100 miles to within 50 miles behind the target. locate and maneuver back to the stationkeeping point. radar systems are not available. closed it Dec. 1, 1985, during STS-61B. tools and equipment for future EVA experiences. Evaluation, DTOs 1202 and 1205.
imparted to the tools the astroanuts use during the CLIP experiment. hard disk for retrieval after landing. compartment at the completion of the EVA. down a 46.8 foot track mounted on the port side of the payload bay. stored in two 23.4-foot sections in the forward part of the bay. of the EVA and stow it after the evaluations are complete. small handhold for translations and rides on the CETA track. each evaluation and each has its own brake. The first cart to be tested will be the manual configuration. motion to create a maximum of 24 volts to drive two small motors. The motors then propel the truck down the track. each other to simulate transporting cargo to a work station. requirements definition, technique development and equipment design. to evaluate translation rates and techniques. comfortable velocity rates and acceleration. astronauts crossing a rope strung across the payload bay. at the Johnson Space Center. metabolic activity and subsequent sampling into a fixative solution. biomedical, manufacturing processes and fluid sciences fields. testbed) and the Materials Dispersion Apparatus (MDA) minilab units. using the needle/valve adaptors and sample vials. variations in the mixing of fluids. crew member to determine the alignment of the blocks on each unit. Director of BioServe Space Technologies. protein's normal function within the body or other organisms. ordered and large enough to yield precise structural information. Protein crystals grown on Earth often are small and flawed. filling a sports stadium with fans who all have reserved seats. often are content to take the wrong places in the structure. fewer mistakes are made, creating better and larger crystals. activate the experiment to grow insulin crystals. developed by the PCG investigators. bubbles in the fluid, thus preventing blockages in the heat pipe. times, expected to take about 1 hour in total. bubbles through the screened section of pipe. cover most of the U.S. passes. cabinet that has been redesigned since its last flight on STS-51F. television (FSTV) module added to the assembly. Pa.; and Reizenstein Middle School in Pittsburgh, Pa.
separate boxes, are now a single unit. future innovations in the Shuttle's data processing system. Dimensions: 19.55" x 7.62" x 10.2"
crew member will enter the correct mission elapsed time. module and two zinc-air batteries in the main module. D-1 Spacelab mission, launched in October 1985. Reserve Officer Training Corps program at the University of Illinois. Base, Arizona, for F-100 checkout training. than 6,300 hours flying time, 4,000 hours in jet aircraft. Kenneth D. Cameron, 41, Lt. Col., USMC, will serve as Pilot. his hometown and will be making his first space flight. Cameron graduated from Rocky River High School, Ohio, in 1967.
astronautics from the Massachusetts Institute of Technology. time in 46 different aircraft. Linda M. Godwin, 38, will serve as Mission Specialist 1 (MS1). payloads officer. Godwin is an instrument rated private pilot. December 1988, a Department of Defense-dedicated flight. logged 207 hours in space, including 12 hours of spacewalk time. hometown and will be making his first space flight. he became the Manager of JPL's Table Mountain Observatory. sailplanes and human- powered aircraft.